Hi friends! Here is an Inspirational Story for Kids. This is a Short Story For Children. 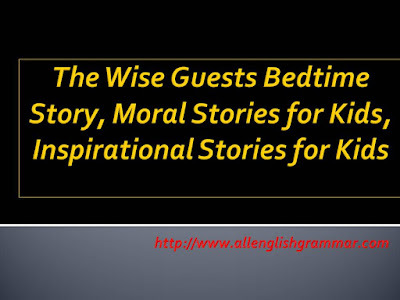 These kind of bedtime short stories for your children are narrated by our grandparents at bed time so these are also known as bed time children stories. 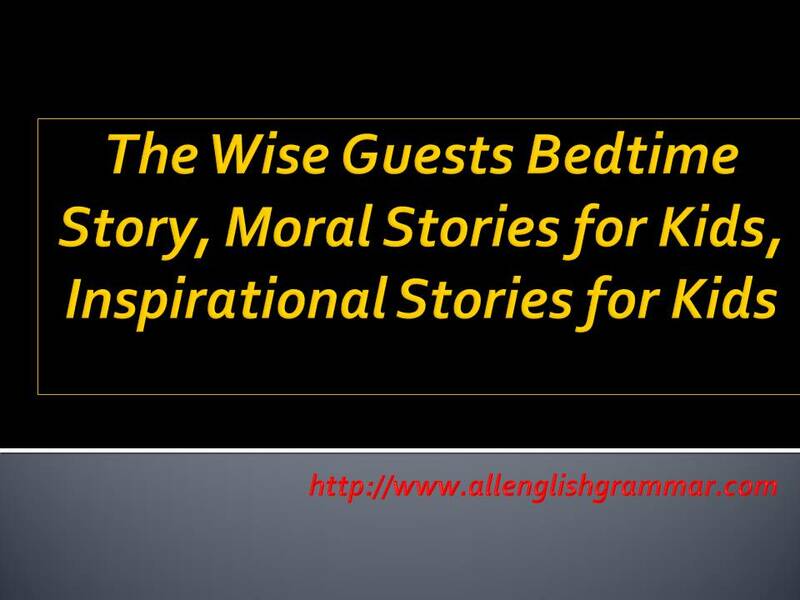 Today’s Top story is “The Wise Guests” . I hope you like this Child story a lot. Once there was a king in a little kingdom. He was a miser though he was wealthy. One day a son was born to him and he decided to arrange a big feast to celebrate the occasion. He invited the priests all over the country to the feast, because it was conventional to feed poor priests on such an auspicious day. On the day of the feast, a large number of poor priests came to the palace. They assembled in a big hall. They were sat in several rows. The king’s servants placed a silver plate in front of each guest. They brought several buckets full of laddus for them. The priests were happy at the sight of the sweets. They told themselves that they wo8ld eat about fifteen laddus each at one sitting. The servants laced two laddus in each plate. Then the king came forward and said. The guests looked at one another in surprise . They wondered whether they could eat laddus without bending the hands at the elbows. They were sure that the king meant to tease them. The sight of the laddus was very tempting. Suddenly an elderly priest who was sitting at the head of a row whispered something into the ears of his neighbor. The neighbor was happy at what the elderly priest told him. Thus the message passed round quickly. The king looked at the guests confused. The elderly priest told the king that they were ready to accept the condition. The king asked them to start. Immediately, the elderly priest took a laddu and put it in his neighbor’s mouth without bending his hand. The neighbor took a laddu from his plate and put it in his neighbour’s mouth on his left. The third man took the laddu put it in the fourth man’s mouth. Soon the guests finished the laddus in their plate. The servants put more and more laddus which they finished in the same way. They were also getting two rupees with each laddu which the king had promised. The king was shocked to look at the way the priests were finishing the laddus. He was also worried about the money he was paying them with laddus. The guests, on the other hand, were eating more and more laddus and earning more and more money. The priests went back happily with many laddus in their bellies and a lot of coins in their purses.